The Cuisinart CTG-00-FM is equipped with fine, medium and coarse cutting discs for preparing a wide variety of foods. The food mill is ergonomically designed for smooth turning, is equipped with a soft-grip turn knob and handles, and is completely dishwasher safe. 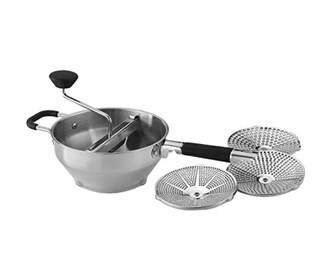 The fine disc can be used to purée peas, carrots, squash, and more for baby food, while the medium disc is ideal for homemade gnocchi, and the coarse disc makes quick work of chunky mashed potatoes and applesauce. 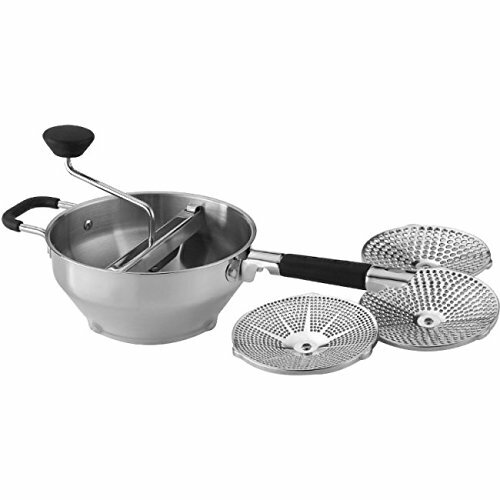 The Cuisinart Food Mill 3 Cutting Discs has many exciting features for users of all types. The Cuisinart Food Mill 3 Cutting Discs is sold as a Brand New Unopened Item.